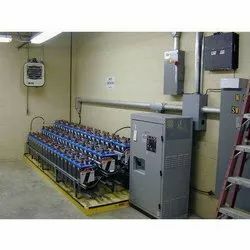 Standby Battery Systems are a large and important part of the backup power for both UPS and Telecommunication applications. The constant high performance of each mono bloc/cell within a battery is therefore vital to guarantee that the battery is able to support the load when required. The continuous monitoring of each mono bloc/Cell is therefore paramount to make sure that it performs when required . The problems with VRLA are already well known: sulphation of plates, grid corrosion and excessive gassing to name a few. With the LEM range of components you will be able to monitor and identify the cause of the problem before the failure has an impact on the battery performance. Looking for Battery Monitoring Systems ?